Even today, well into the 21st century, it can be challenging to share the details of a project with partners or clients. Online presentations are challenging, partly because not everyone uses the same software. Here's a new way to put your documents in front of others, and to get feedback at the same time. Reel is a web service that lets you upload documents -- like images, Word, PowerPoint and PDF -- and easily arrange them into an online presentation. You get a URL that you can share with anyone. Your viewers can then navigate to the site and view the project on any device -- PC, phone and so on -- without installing any new or special software. Even better, Reel incorporates simple polling into each page of your presentation, so folks who look at it can vote each page "up" or "down" as they click through the presentation. That means you get access to analytics that show how well each page of your presentation succeeded. Your PowerPoint slides appear in the order you created them, but as with images, Word and PDF files, you can arrange them any way you like just by dragging thumbnails around on the page. When you're done, you get a link to share with others or an embed code you can insert into a web page or blog. 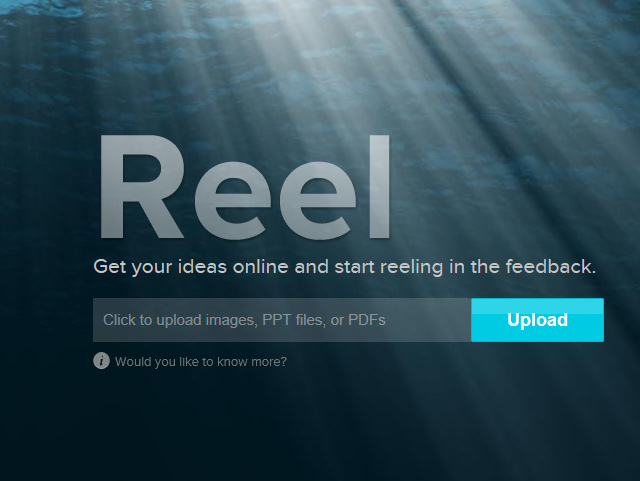 Reel is free and offers a cool and effective way to easily connect your ideas with other people via the Internet. It's certainly not nearly as sophisticated a tool as, say, Prezi, but then again, sometimes all you need is a fast way to publish some slides or documents online.